Fundraising with Blood:Water is built upon the simple idea of using talents and resources that are already available to help provide clean water for our friends in Africa. There is no perfect formula or strict set of rules, only creative freedom and a call to action. Crisp Entertainment is a small business (emphasis on small!) comprised of owners Chris Price, Kori Wood and myself, Ted Pivetz. We are a sound and production company in Indiana, PA. 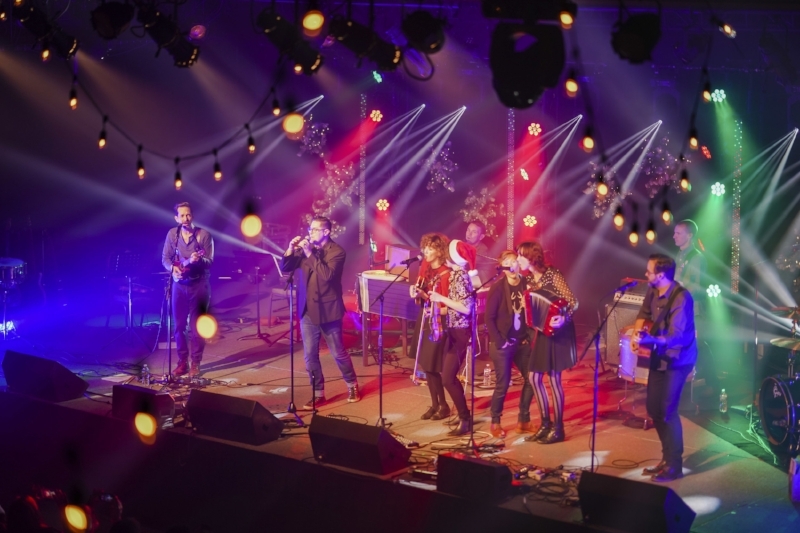 In December of last year we were fortunate to have been involved with the Jars of Clay Family Christmas Show, where we first met some of the wonderful people who make up the Blood:Water team. After two days of being in Nashville and Franklin, TN for the show, we left having gained new friends and a strong desire to continue our involvement with the organization. The result: Jars of Clay Spring World Tour 2018. 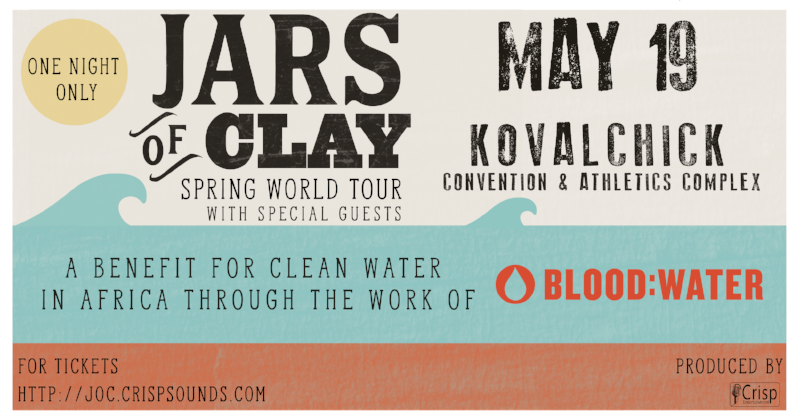 On May 19, 2018, we are hosting Jars of Clay to headline a concert in Indiana, PA, in support of Blood:Water. Our fundraising goal is $25,000 for this event. It is thrilling, and humbling, to take on the challenge of fundraising to help people in communities whom we have never met have access to clean, life-sustaining water and HIV/AIDS care and support. We invite you to join us! If you cannot attend the show, you can still participate by donating to help us meet our $25,000 goal.